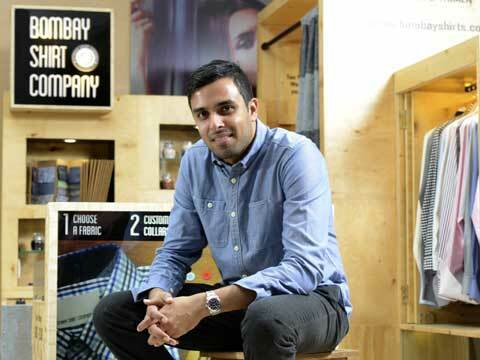 Retailer media caught up with Akshay Narvekar, founder of Bombay Shirt Company and discussed the detailing of his target customer, the brand's expansion and future plans. Bombay Shirt Company (BSC), which started as an online custom shirt brand in September 2012, pivoted to become a hybrid brand and has since launched two stores, one each in Mumbai’s Kala Ghoda and Bandra (West). The evolved business structure, which founder Akshay Narvekar believes has led to a phenomenal growth in terms of reach and numbers, has not only helped make made-to-measure shirts accessible to target consumers, but has put custom tailoring on priority. A neat website, pop-up kiosks around the city, travelling stylists to help customers make that purchase, and two brick-and-mortar stores later, the lifestyle and apparel-related digital retailer has found growth in bespoke tailoring solutions. Retailer media caught up with Akshay Narvekar, founder of Bombay Shirt Company and discussed the detailing of his target customer, the brand’s expansion and future plans. What need are you addressing in the market and how did the idea of your start-up take shape? Who is your target consumer, how have you detailed him? Anyone who wears a shirt is our target consumer! But definitely, someone who is conscious of his/her appearance, is ready to explore options and generally would like to look their best is our target audience. What is your current distribution in the brick and mortar space, and what was it that attracted the investors to your business? We currently have two stores in Mumbai, and are looking at increasing our presence PAN India. Our investors have always looked for a solid brand and product to believe in, and that’s what we’ve created here. Have you had to pivot your business in anyway that has worked for you? Yes, we did evolve our business structure from an online store to a hybrid format which has led to a phenomenal response. I think it’s the people that make the company, and hiring the right talent is always a very rigorous process. And as a growing company, we are always on the lookout for smart minds who will add value to the brand. We plan to grow exponentially, and hope to become a household name one day.